As promised, I am posting about our...*Drumroll* *Confetti* *Mud* *And all of the above*... Tough Mudder adventure! 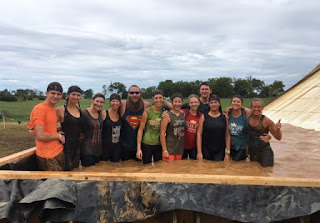 About mid-September, me, my mom, sisters, cousins, Auntie, and my older sisters boyfriend and his mom all decided to be a team in a Tough Mudder. Overall, It was a bunch of fun, and I can't with to tell y'all about it! Read about my first "I Survived" post HERE. And the second "I Survived" post HERE. 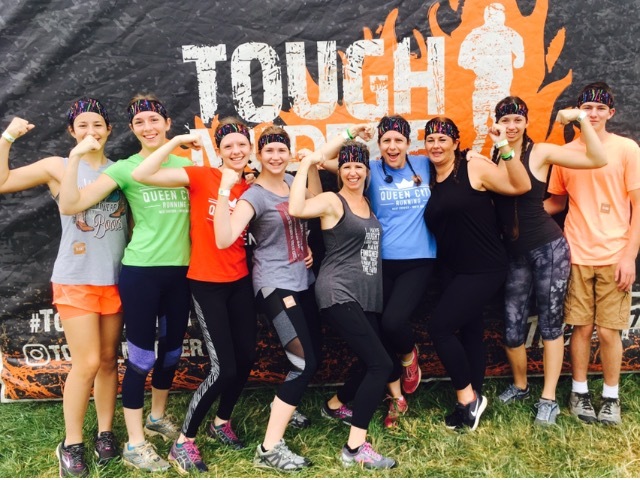 You ask, what exactly is a Tough Mudder? 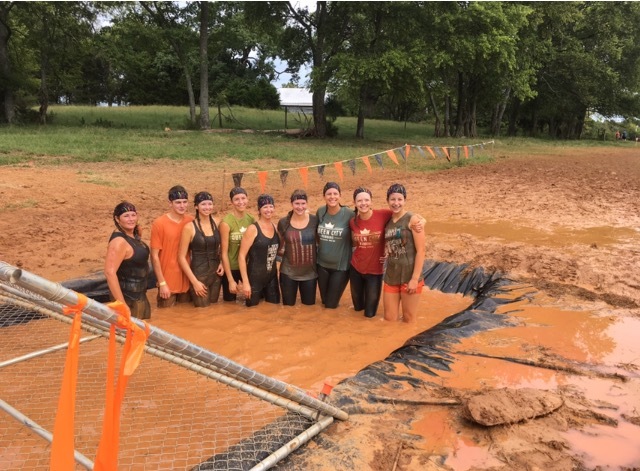 Well, let me tell you, a Tough Mudder is very similar to the Mud Gauntlet, in that it is obstacles in the MUD and it's as long as a 5k. 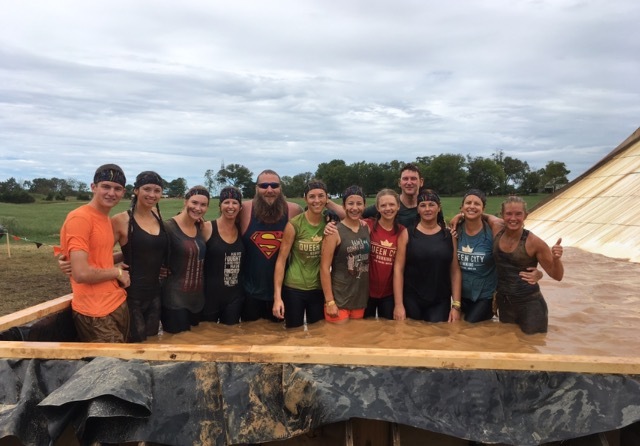 But, instead of the 35 smaller obstacles like the other mud gauntlet we did, this had 10 bigger and more challenging obstacles!!! Throughout the course, some of the obstacles were so hard that their was no choice, you had to work together as a team. Even if that required you to trust some stranger while you dangled into mid-air! We decided to make a weekend trip out of it, and drove down the day before. It took us most of the day to get to our hotel, and when we did, we went swimming! 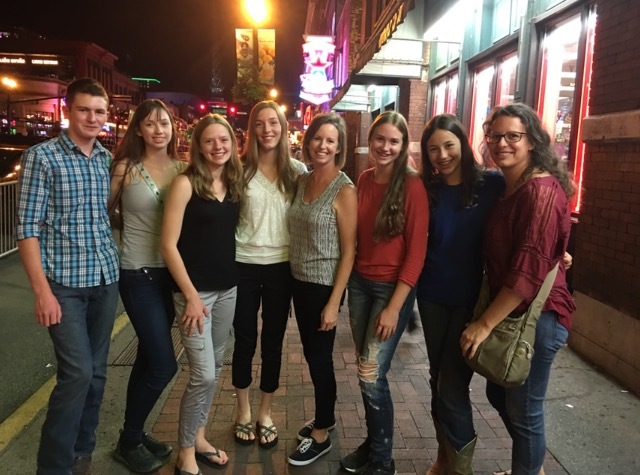 After sundown, we drove into Nashville and walked up and down broadway! All I can say is WOW and another wow! It was so cool to walk the streets that famous country singers walked, especially when first starting out! There was one girl who played the fiddle and tap danced in her cowboy boots, she was really good! And yet, on the other hand, it was sad. I have never seen such a crowded city! Shoulder to shoulder, and stuck in the middle of a sea of people. Lots and lots of people. Homeless people, drunk people, all kinds of people. I felt sorry for them, and wondered if they were happy with where they were at. I just don't understand it. I especially felt bad for the homeless people with dogs. The next morning, we got up bright and early. For breakfast, I ate half of a waffle at the hotel. We got to the place where they had the Tough Mudder, and parked in a big field. Once we got "checked in" we wrote our number on our arms with a sharpie. Our team name was "The young and the rest of us!" Our start time was at 9:30! The one at the end was, by far, the hardest obstacle. It was called "happy ending," and was a steep, slightly slanted, slippery wall. You had two choices to conquer this last test of strength, you could just use the provided rope, or make a "rope" out of your team. And can you guess what we chose to do?? Yes, our team, with the help of three others, chose the hard way! How you made a "rope" was basically we stood onto of each other to make a tower of bodies up the wall, so that others could crawl up. Auntie was on the bottom, and for some reason, I got up next (at that time, I really could not comprehend what my job would entail!) So, I stood on my Auntie's shoulders and leaned up against the wall. My younger cousin went next, standing on my shoulders. Then, my older cousins crawled up us to the top, and helped those who climbed up next. There was a point when my knees were buckling. The weight on my shoulders from people climbing up was so heavy, that "very heavy" was a understatement. I wanted to give up, to give in. And I felt so sorry for my Auntie, who had to carry more weight than I! I don't know how we did it, but our whole team finally made it to the very top! What an accomplishment! We were so happy to have made it. And at the top, we slid down a slide into muddy water! Guys, it took a lot of self-talk and and encouragement to make it through that last obstacle. Mud runs aren't the only places we experience obstacles in our paths. Every day, we encounter obstacles that tower over us. They are intimidating and scary. And sometimes, we just can't overcome those obstacles on our own, we need encouragement from those around us. We also need to realize that we need Someone bigger to help us through. God is that Someone, and He already knows the paths you will take and the obstacles you will overcome! Let Him be your steady hand when you feel yourself falling. 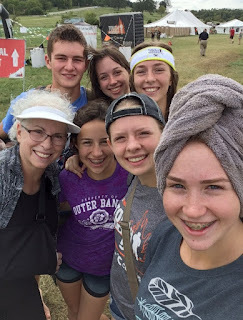 After we crossed the finish line, we picked up our t-shirts and showered off! Overall it was a blast! It was challenging, but it was so so so fun! 1. Teamwork is a must! 2. Go for it! Commit and just do it! 3. Cheer each other on. 4. Give it all you got, and do the best you can! 6. It is ok to need help. 7. 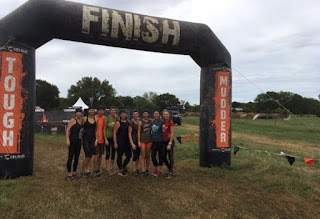 The muddier the better! 8. When you feel like caving, don't. 9. YOU can do it! 10. God will bring you through! Starting off! Look at all those people! After floating in the mud under that fence! Standing on a mound of mud! Have you ever done anything like this? Are you a good team player? What are some way's that we can encourage each other through the obstacles they face in their day to day lives? I hope y'all have a awesome October!!! Labels: God's our Guide, I Survived, Never give up, Pictures, Take a step, TOUGH MUDDER! You should really try one! It's a blast! Woah! Do you do any sort of training before it? (if so what?). That sounds soooooo hard (but fun at the same time, =D )! It was awesome! You know, we didn't do any training per say for this one, now we did train for the triathlon we did! 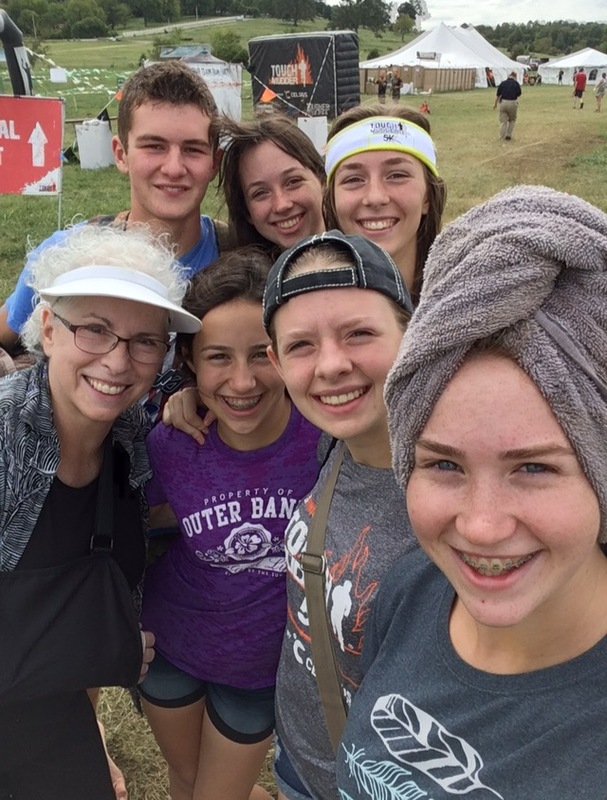 That was back in June, and we practiced canoeing and trained for the running part. We also biked one or twice... but that didn't really prepare us for the 18 mile bike ride! 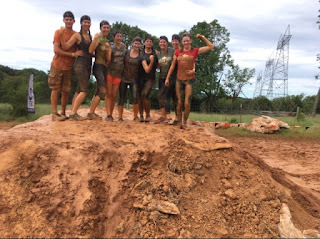 But no, for either of the mud runs, we didn't train. It's all about the teamwork and helping each other with the obstacles. It's a lot of fun! WOW!! I think I will stick to running, but that looks awesome. And Nashville is Awesome!! Yes, it is sad that you have three levels of musicians. You have the ones who a homeless and literately depend on their guitar for day to day living , hoping people will pay them to pay a song outside on a corner. Then you have the small scale bars and Honky Tonks, a bit of a upgrade. Those singers and band players probably have a lodging place of some sort likely, and ain't homeless, but ain't millionares. Good example of that was the cover band at this bar called the Tequila Cowboy. Any clue if the place is still open, by the way? Then you have the people who play in high class clubs and then you have them people who play at the Opry, and and at the top of the music scale, some of the music millionares have houses and reside there. 90% of Nashville singers and musicians are never gonna get anywhere. But it's still crazy. 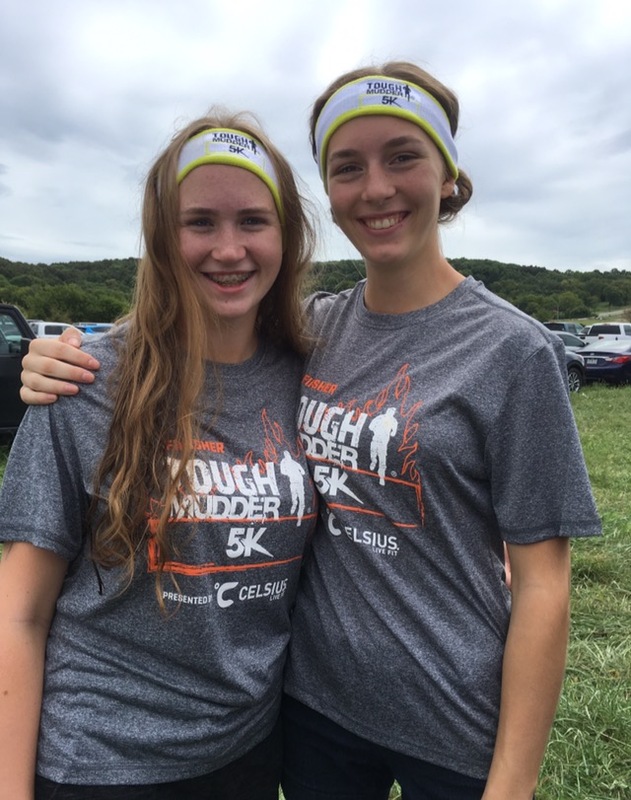 The Tough Mudder was fun! And Nashville was a little crazy, but I'm glad we went. It definitely puts things into perspective... To answer your question, I'm not sure. There were so many places, I don't think I would even remember seeing it. But we did eat at a Spaghetti Factory which was really good! Wow. That looks like fun! OH MY GOODNESS IT LOOKS LIKE CRAZY FUN!!! This is officially on my bucket list! I would love to do this with my family or friends! What a fun time! That looked like SO. MUCH. FUN. That looks so fun!! I am excited for fFrida because it is my birthday!!! Oh my goodness, this looks like SO MUCH FUN. 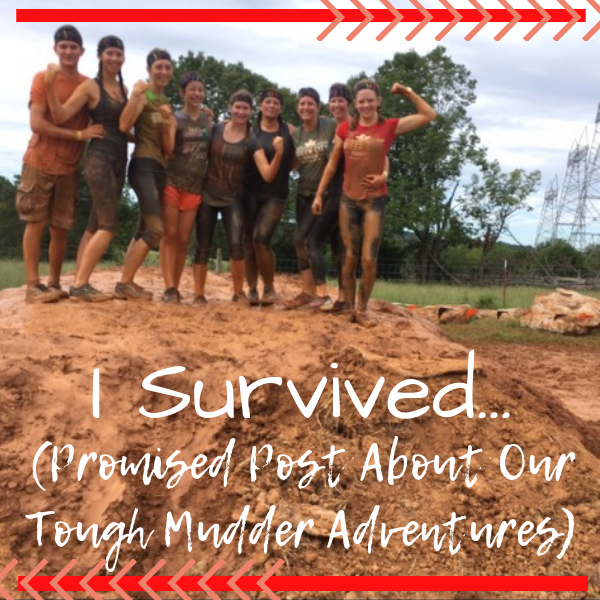 I'm not always a "mud" person, but with friends and/or family? Dude, yes, this would be fabulous. ;) Congratulations, y'all! !